But speaking of snaps, here’s recipe that goes together in minutes. It is amazingly useful for all those summer salads you will be serving, and you probably already have everything you need to make it. You think it would be easy to find some history about this common, common dressing, right? It’s always interesting when you start to really look and you discover way more (or way less) than you expect. “French” dressing for salads is not an exception. It’s difficult to find any definitive history about it at all. The only thing I do know is there's nothing particularly French about it. I would imagine if you were dining in Paris and asked for it they would look at you like you had two heads! “French dressing” means different things in different countries. For example, French dressing in Switzerland is white, using mayonnaise or cream. In late 1800s America, the term was a substitute for "vinaigrette” – the simple combination of oil and vinegar. Since that was French, it became French dressing. There was nary a tomato within sight of it. Even as relatively recent as 1894, the recipe in the venerable Mrs. Lincoln’s Boston Cookbook only contained oil, vinegar, onion juice, salt and pepper. It seems the addition of tomato (from ketchup) only occurred in the 20th century. Mrs. Lincoln's recipe, 1894. Also used as a pickling liquid. blender. I use my Magic Bullet. French dressing base No. 5. For all dressings where cream is used as part of garnish. 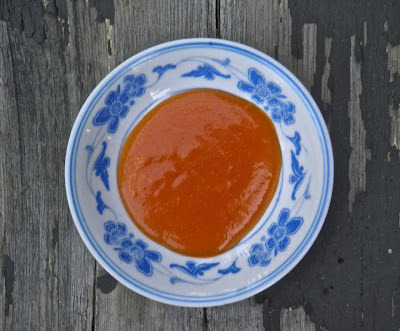 One-fifth teaspoon mustard (dry), one fifth teaspoon paprika, one-fourth teaspoon salt, one-half teaspoon tomato catsup, one-fourth teaspoon sugar, one tablespoon vinegar, five tablespoons olive oil. Mix thoroughly the mustard, paprika, salt, catsup, sugar and vinegar together, then whip in oil. 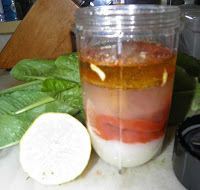 This gives you a sauce that will stand up, and to which you can add cream, mayonnaise, or other sauces without fear of separating. Whip this sauce thoroughly to emulsify." The type of French dressing described above is the common one today amid the other bottles of salad dressing at the store. It’s right alongside Italian, Russian, Blue Cheese and Thousand Island. It is also a very close cousin of Catalina dressing, the main difference being that dressing is supposedly darker red. Some say there is no difference. I’m hard pressed to spot it. In fact, my recipe for Catalina is quite similar to this one. You can find it here. 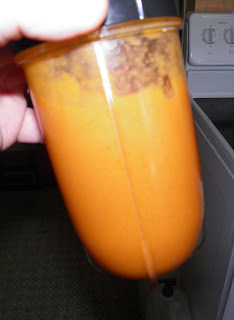 Regardless, French dressing is very easy to make at home, especially if you have a small blender, or even just a whisk. It literally goes together in a snap. French dressing is usually a favourite due to its sweetness. That’s something you have to watch. A lot of extra sugar can come from what type of ketchup you use. So err on the side of caution. You can always add more sugar if it’s not sweet enough. 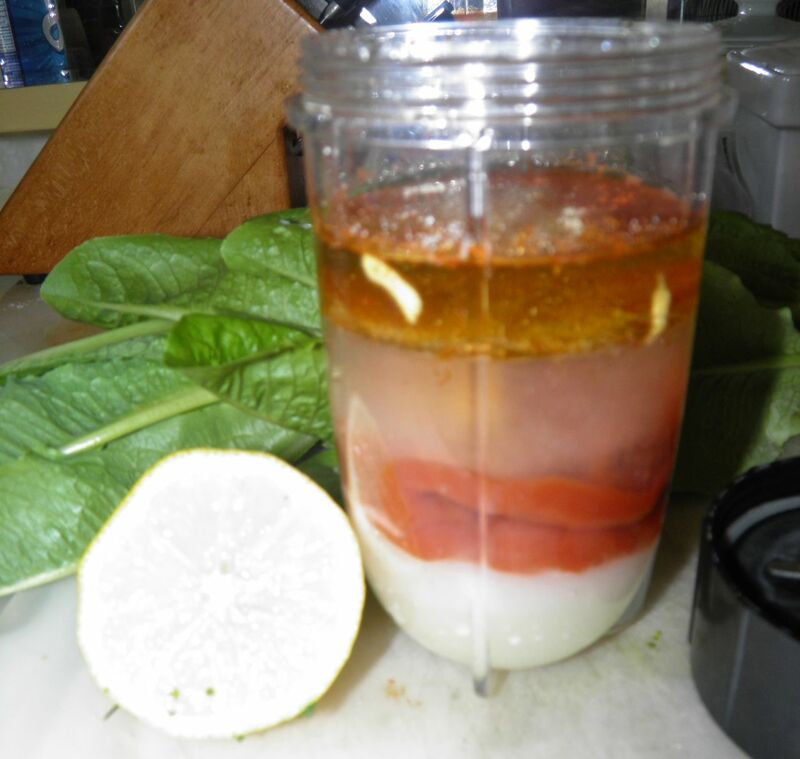 Combine and shake vigorously or blend. Refrigerate until ready to use. * Depending on the sweetness of your ketchup. Most ketchup is very sweet. Use the 1/3 cup to start.